As Congress moves closer to debating fundamental tax reform, the amount U.S. multinational firms pay in taxes on their foreign income has become a common topic for the press and among politicians. Some of the more sensational press stories and claims by politicians lead people to believe that U.S. companies pay little or nothing in taxes on their foreign earnings. Last year, even the president suggested the U.S. needs a “minimum tax” on corporate foreign earnings to prevent tax avoidance. Unfortunately, such claims are either based upon a misunderstanding of how U.S. international tax rules work or are simply careless portrayals of the way in which U.S. companies pay taxes on their foreign profits. Thus, in any discussion of tax reform it is important to get the facts straight regarding the taxation of multinational firms’ foreign earnings. The U.S. has a complicated “worldwide” system of taxation that requires American businesses to pay the 35 percent federal corporate tax rate on their income no matter where it is earned—domestically or abroad. When it comes to foreign profits, companies pay income taxes not once but twice. Companies first pay income taxes to the countries in which profits were earned. Then they pay additional U.S. taxes on any profits they return home (repatriate). For example, if a subsidiary of a U.S. firm earns $100 in profits in England, it pays the British income tax rate of 23 percent (or $23) on those profits. Since our system gives companies a credit for the taxes they pay to other countries, the additional U.S. tax the firm is required to pay is equal to the difference between the U.S. rate of 35 percent and the British rate of 23 percent—$12. Between the two nations, the U.S. firm will have paid a total of 35 percent in taxes on those foreign profits. In order to take advantage of the foreign tax credits allowed under our tax system, companies are required to annually report on a Form 1118 how much they earn in each country in which they operate and how much they pay each country in taxes. According to the most recent IRS data for 2009, U.S. companies paid more than $104 billion in income taxes to foreign governments on foreign taxable income of $416 billion. As Table 1 indicates, companies paid an average effective tax rate of 25 percent on that income. As the global economy has grown, so too have the foreign earnings and tax bills of companies. 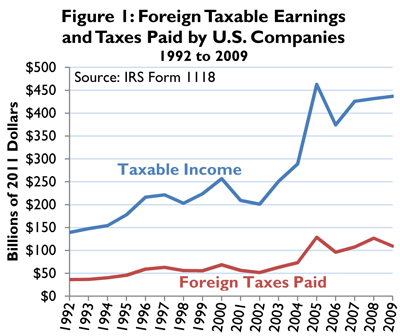 Figure 1 shows the foreign taxable earnings of U.S. companies and their foreign taxes paid between 1992 and 2009, every year for which data is available. Over those seventeen years, taxable income grew in real terms by 214 percent while foreign taxes paid grew by 202 percent. Table 1 summarizes the amount of taxable income reported by U.S. firms for each global region along with the total amount of foreign taxes paid and the average effective tax rate by region. *The negative reported income for South America is due to large reported losses in Peru (see Table 2, below). This is likely due to the financial crisis, as these losses did not occur in previous tax years. Source: IRS Form 1118 (2009). The largest concentration of foreign earnings for U.S. firms was in the European Union, at $164.5 billion. U.S. companies paid nearly $38 billion in income taxes on those profits to European tax authorities for an average effective tax rate of 24 percent. This is a more than $10 billion increase over 2007. Asia comprised the second largest concentration of taxable earnings at $60.8 billion. U.S. firms paid more than $18 billion in taxes to Asian tax authorities for an average effective tax rate of 31 percent. Companies paid the highest effective corporate tax rate in Africa at 40 percent, paying $6.1 billion of their $15.6 billion in income. The IRS also provides specific earnings and tax data for 90 separate countries. Table 2 lists these countries ranked by the amount of profits earned in each country from highest to lowest. The Netherlands tops the list at more than $46 billion. This is followed by the UK with $38 billion and Luxembourg with $29 billion. Remarkably, the earnings U.S. firms had in the top ten countries are greater than the earnings in all the other countries combined. American firms paid more than $9.1 billion in Dutch income taxes for an average effective tax rate of 19.8 percent. By contrast, they paid $7.9 billion in Canadian income taxes for an effective tax rate of 28.6 percent. In the UK, corporations paid $9.2 billion, for an effective rate of 24 percent. Of U.S.’s largest trading partners, U.S. firms had the highest effective tax rates in Japan at 33 percent, paying $5.9 billion in income taxes. Although U.S. multinational firms are often criticized for using tax havens to reduce their taxes, the majority of countries at the top of the earnings list have normal corporate tax systems. However, two of the so-called tax havens—Bermuda and the Cayman Islands—are among the top fifteen countries where U.S. firms report income. Bermuda, with $25.3 billion in earnings, ranks 5th on the list and companies paid $4.5 billion in income taxes there for an average effective tax rate of 17.8 percent. The Cayman Islands ranks 12th on the earnings list at $9.1 billion; U.S. companies paid $1.9 billion in income taxes for an effective tax rate of 20.9 percent. Ireland afforded U.S. companies one of the lowest average effective tax rates at 11 percent on earnings of $14.6 billion. Ireland does have a normal corporate tax system but is known for its low 12.4 percent corporate tax rate. At the other end of the spectrum, some of the highest average effective tax rates paid by U.S. companies were in Norway (61 percent) and Nigeria (62 percent). These countries are renowned for their exceptionally high tax rates on oil companies. U.S. companies paid $7.8 billion in income taxes on $12.6 billion in earnings in Norway and $3.1 billion in taxes on $4.9 billion in earnings in Nigeria. While it is undoubtedly true that U.S. multinational firms use tax planning techniques to minimize the taxes they pay on their foreign earnings, IRS data shows that the subsidiaries of U.S. multinationals paid more than $100 billion in income taxes to foreign tax authorities on roughly $413 billion in taxable income. Averaged across some 90 countries, U.S. companies paid an effective tax rate of 25 percent on that income. Reporters and lawmakers who criticize U.S. companies for “avoiding” taxes on their foreign earnings need to be more careful with their language and acknowledge that our worldwide tax system requires U.S. firms to pay taxes twice on their foreign profits—once to the host country and a second time to the IRS—before they try to reinvest those profits back home. Any discussion about reforming the corporate tax code must keep these facts in mind. *Both the Cayman Islands and Bermuda have no corporate income tax. These numbers reflect taxes deemed paid to Cayman Island and Bermuda, but which were actually paid to other countries and attributed to subsidiaries located in these countries. Jackie Calmes, Obama Offers to Cut Corporate Tax Rate to 28%, New York Times, Feb. 22, 2012. See also Rana Foroohar, Should Businesses Pay Taxes on Foreign Earnings?, Time, Jan. 3, 2013; Jeff Sommer, How to Unlock That Stashed Foreign Cash, New York Times, Mar. 23, 2013; Charles Duhigg & David Kocieniewski, How Apple Sidesteps Billions in Taxes, New York Times, Apr. 28 2012; Jesse Drucker, Google 2.4% Rate Shows How $60 Billion Lost to Tax Loopholes, Bloomberg, Oct. 21, 2010; David Kocieniewski, G.E.’s Strategies Let it Avoid Taxes Altogether, New York Times, Mar. 24, 2011. 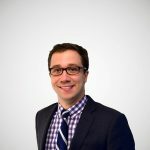 The same rules apply to individuals as well as non-corporate businesses such as S-corporations, LLCs, and partnerships. HM Revenue & Customs, Corporation Tax Rates, http://www.hmrc.gov.uk/rates/corp.htm. The UK’s corporate tax rate is 23 percent as of 2013 and scheduled to decrease to 21 percent in 2014. Form 1118 reflects the aggregate tax profits, or the income that is subject to tax after all deductions and “above-the-line” tax preferences. It is also worth noting that Form 1118 reports one of many ways to calculate corporate income and taxes paid. For instance, BEA’s most recent data shows that “majority-owned affiliates” paid more than $109 billion in 2009 and $131 billion in 2010 taxes to foreign countries. This is on top of more than $178 billion in other taxes paid to foreign governments. See Bureau of Economic Analysis, Financial and Operating Data for U.S. Multinational Companies, http://bea.gov/international/di1usdop.htm. For a more detailed explanation, see William McBride, Beyond the Headlines: What Do Corporations Pay in Income Tax?, Tax Foundation Special Report No. 194 (Sept. 2011), https://files.taxfoundation.org/docs/sr194.pdf. Both the Cayman Islands and Bermuda have no corporate income tax. These numbers reflect taxes deemed paid to Cayman Island and Bermuda, but which were actually paid to other countries and attributed to subsidiaries located in these countries.